I am so NOT Julie Andrews. So began my attempt to (quite clumsily) maneuver the strange world of being an international nanny. I had so many questions! How do I succeed in acting as a parental figure when I don’t actually have the authority? What is my correct place as a pseudo-family member “slash” servant? And, above all, how do I get this little girl to stop mourning the loss of her previous nanny? It was not always a pretty picture. To my dismay, I quickly realized that not only was I was ill-prepared for my role as a nanny, but nothing in my “Italian cultural lessons” had prepared me for the reality of living with a real, passionate and emotional Italian family. I was overwhelmed, I was lonely, and as I shed many tears of frustrations, I was seriously beginning to doubt if I was going to last the whole four months. I spent the first few days chained to the house. Though I had a two hour break after lunch (while Olivia took her afternoon nap) and my nights free, the reality check of my situation had left me wary of venturing too far outside of Villa La Scelta’s gates. Then, one afternoon, it hit me. In the gut. I was in FLORENCE. What in the WORLD was I doing STAYING IN THE HOUSE? It did get better. True, I wasn’t the perfect nanny. The Ferrucci’s and I would always have our ups and downs. Olivia would take a lot of time, stories and songs to warm up to me. But, somehow, it didn’t matter. Florence had become my home. 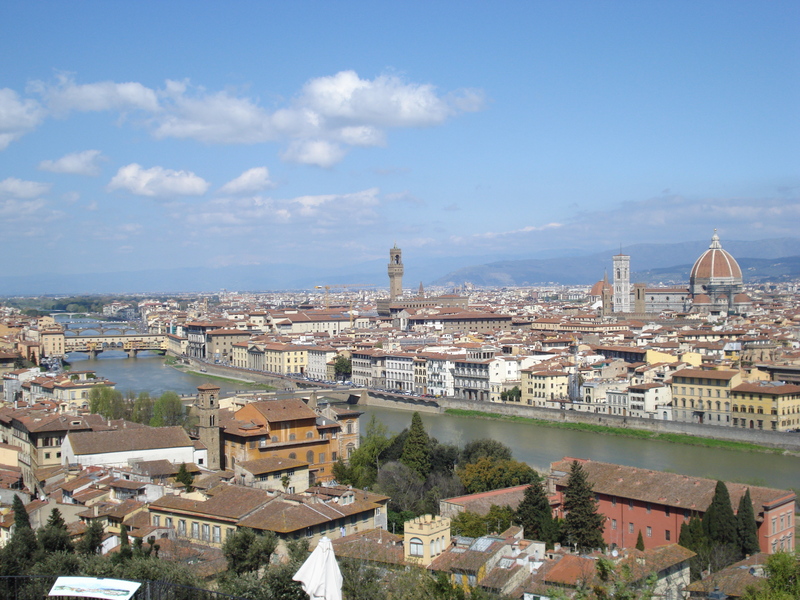 This entry was posted in 2001, Au Pair, Ferruccis, Florence, Italy, Nanny, Olivia and tagged da vinci, Florence, gelato, Italian, Italy, memoir, memories, michelangelo, Nanny, pizza, travel, uffizi. Bookmark the permalink.